What a day it was for Joe Rosga and the University of Denver’s men’s basketball team. And thanks to him, the show goes on. 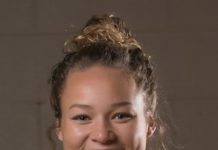 Rosga scored a career-high 25 points for the Pioneers as they defeated the No. 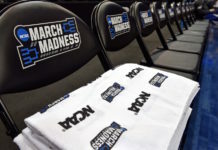 3 seeded Omaha Mavericks by a score of 78-70 on Sunday, advancing DU to the next round in the Summit League Tournament. Denver’s 63 percent shooting made the difference in the first half and had the Mavericks back against the rope going into the half. Omaha did fight hard as the team erased a 19-point deficit before finally being uprooted by the Pioneers. The sixth seeded Pioneers (16-14) had a balanced attack in beating the Mavericks, as four players scored in double figures. While Rosga exploded for 25 points, he also had some help from Marcus Byrd (14 points), C.J. Bobbitt (12 points) and Thomas Neff (10 points). 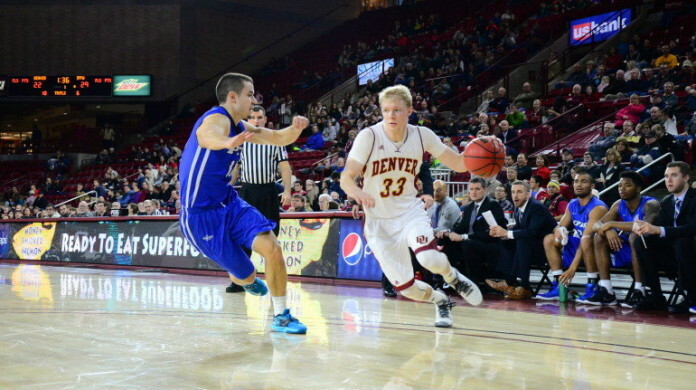 With the win, the University of Denver Pioneers now move on to face No. 2 South Dakota State on Monday evening in what will essentially be a home crowd for the Jackrabbits, as the game will be played in Sioux Falls, S.D. On January 1st, the Pioneers fell in Brookings to the Jackrabbits by a score of 68-59, and on January 30th, they took a loss at home by a score 67-56. They’ll be looking to bounce back in a big way this time around. Although the Pioneers have fallen to the Jackrabbits twice this season, they truly believe that the third time will be the difference. And they understand that it all starts with rebounding. In the two previous matchups, the story of the game was rebounding. South Dakota State has held a combined plus-21 rebounding advantage, which has led to plenty of second chance points. Moral of the story is: Denver must rebound and use their mismatches to their advantage. South Dakota State University seems to be the polar opposite of the Denver Pioneers. One likes to shoot the ball and the other likes to feed the post. One likes to run a fast-paced offense and the other will slow down the tempo. One starts three seniors and the other has three freshman starters. The question is: Who wins, youth or wisdom?